Therapeutic Gift – Momotombo e.V. 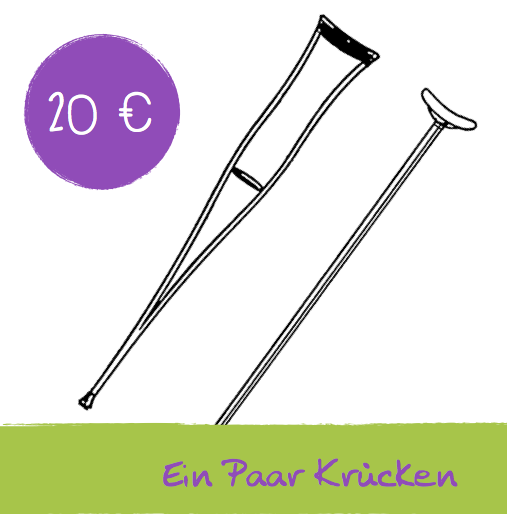 Don't be a crutch - give it away! 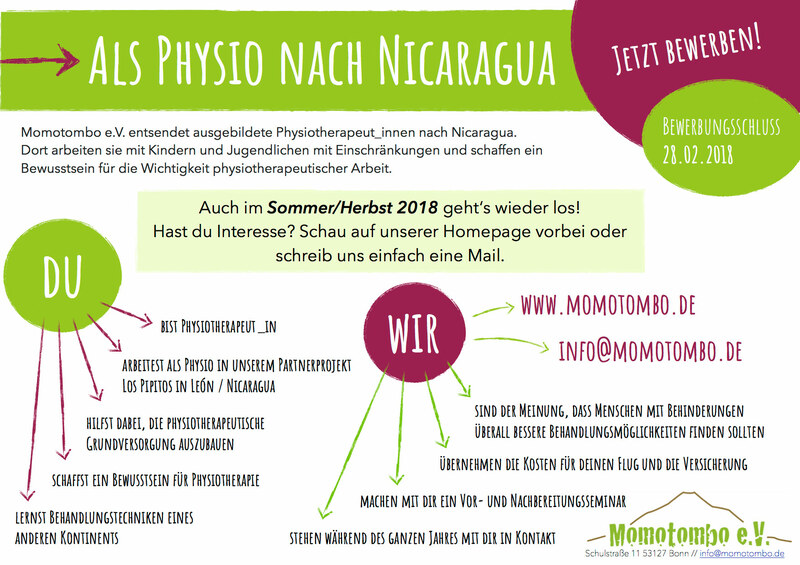 This way you will not only please a loved one, but also our little patients in Nicaragua. 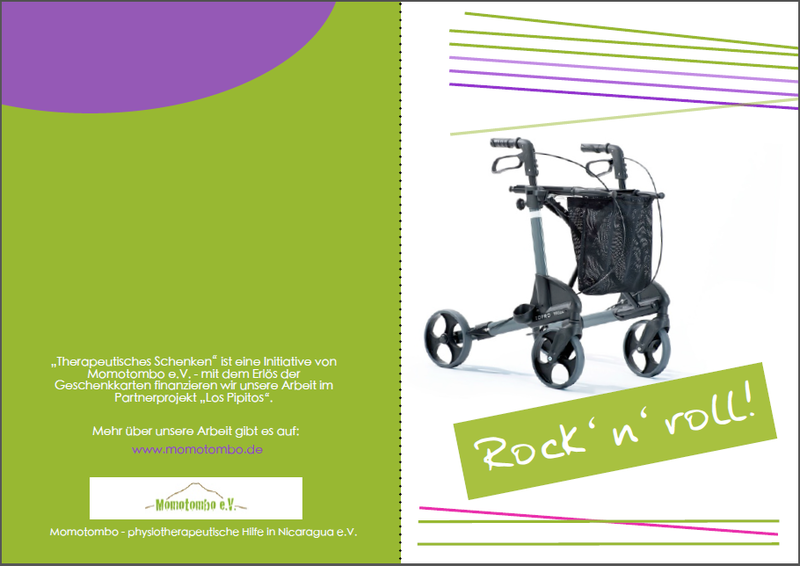 Give as a symbolic gift a Rollator! 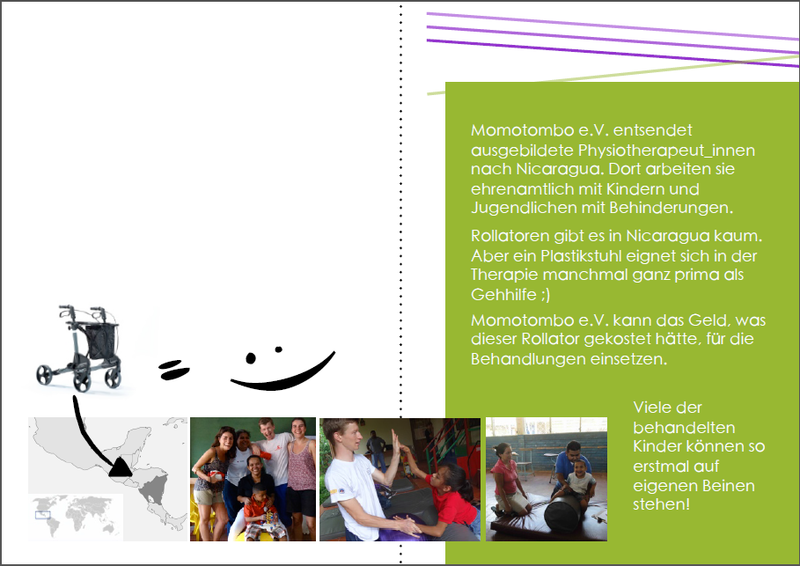 In this way you not only make a loved one happy, but also our little patients in Nicaragua. The gift card will be delivered in a noble envelope. The inside of the card - simply insert names and enjoy! The inside offers space for personal greetings. 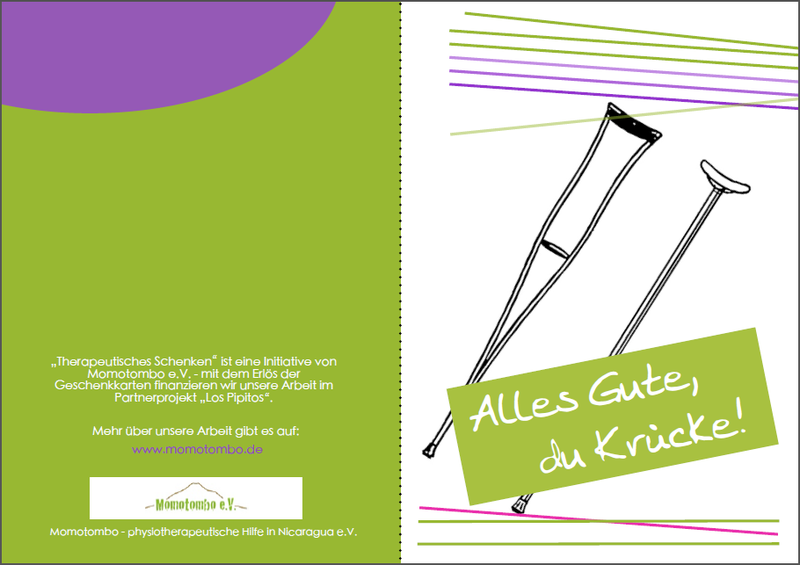 We will send you your greeting card immediately so that you can use it as a gift. 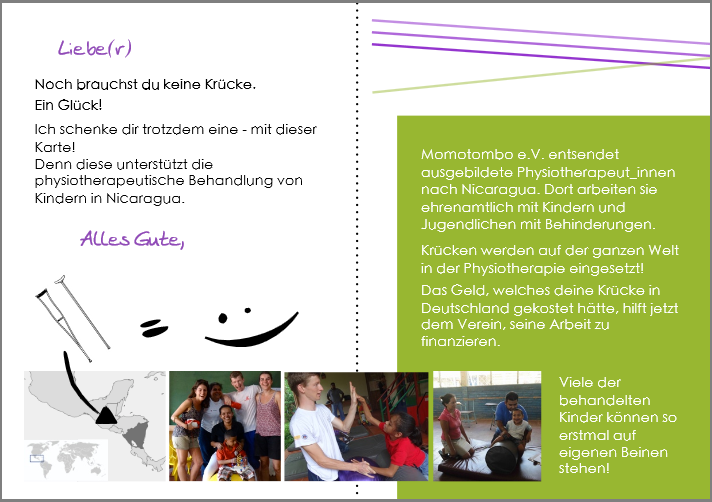 With the greeting card you will receive a letter from us with the suggested donation amount. At the beginning of the year you will receive a donation receipt from us.